If there is a scent that takes me back to my teenager years, specially summer time, is Garnier Shampoos. I have been stuck to Garnier since I was little – remember those times where your mom chose your shampoos for you? Right, those times. And my hair was healthier as ever. I remember going to Praia Formosa beach in Madeira Island and we would always take our shampoos to have a shower before heading home. 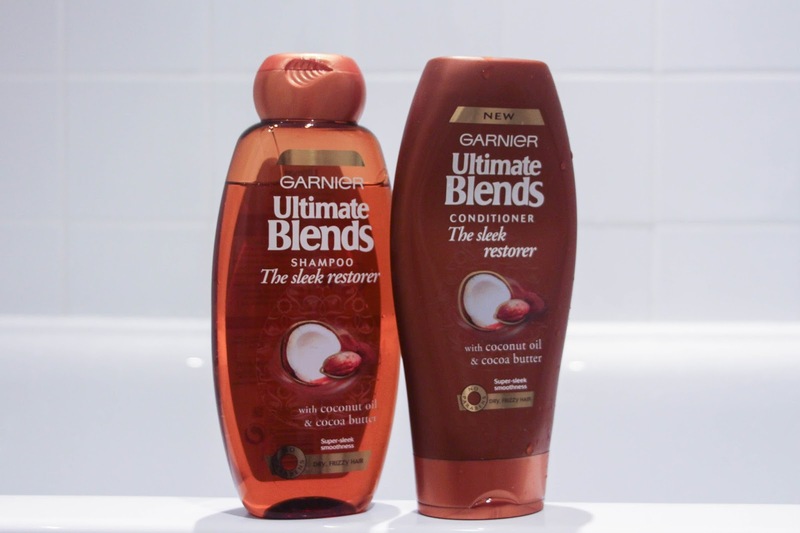 Mine, at the time (more or less 10 years ago) was the Garnier Ultimate Blends Marvellous Transformer Shampoo if I remember well and I used to love the scent. It was when I came to the UK that I changed my shampoo and with the cold weather and I guess the different water too (water treatments and stuff), my hair got drier and drier every single day. I tried some different brand that claimed to be really good and nothing worked. Then I went back to my old but goodie Garnier that I mentioned above and, still, nothing happened. I was loosing hope, and was feeling kind of disappointed with Garnier and then I though “Why not give it another go, try a different one?”. And then I came through this lovely one called “The sleek restorer”. I must say that I wasn’t really expecting much. At this point, two years after living here, I was kind of getting used to my dry, lifeless hair. And every time I would go back to Madeira I would have a shinny, healthy, beautiful long hair. But, I must say, this shampoo surprised me. First of all, the smell is amazing. I love the smell of coconut so it is ideal this shampoo. As it says, this shampoo is for dry, frizzy hair – mine, obviously. Dry as everything. I bought the shampoo and conditioner and since the first time I used them, I noticed a big difference in my hair! It is much, much softer! The ends of my hair are looking a lot better I must say. I feel that if I bought the other two products from this range (1 minute restorer treatment & Oil) I would have brilliant results. So I am going to do so next time I go to boots. And if you are struggling with your dry, lifeless hair you should give it a go too!